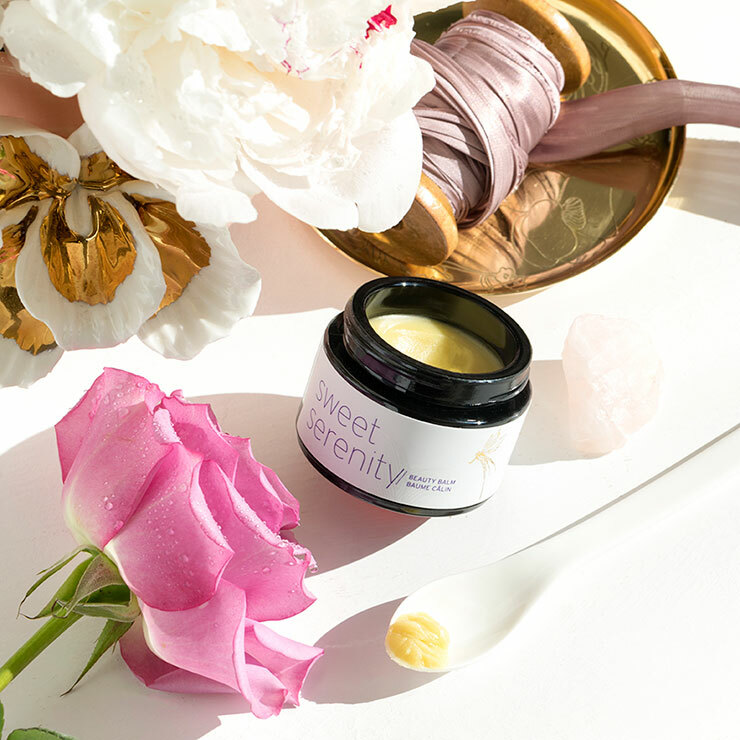 Sweet Serenity Beauty Balm by Max and Me offers a feeling of protection to skin throughout the day, especially from extreme conditions. Infused with helichrysum, palmarosa, muru muru, rose, ylang ylang, patchouli and geranium oils, it gives skin a reparative feel when used at nighttime. This balm works especially well on troubled skin, quenching feelings of dryness, soothing the look of rosacea, and calming signs of inflammation. Use this Max and Me beauty balm AM or PM as desired. For the face, smooth about a 1/2 or 1/3 pea size of balm between your palms and fingertips and press palms together to melt the balm. Press palms firmly all over face for 40-60 seconds to warm balm and help it spread onto skin. Pat an extra drop under eyes to soften the appearance of wrinkles and scars, and soothe the look of puffiness and dark circles. Allow balm to set for 5 – 10 minutes before applying serum, sunscreen or make-up. I had such high hopes for this product, but the scent is so overwhelming and lasting, that I am unable to use it. I tried it several times, and I felt like I had put perfume on my face. It is such a shame because the list of ingredients looks so promising. I really am disappointed. I had been using another comparably priced balm that I had seen complaints about the scent, but it is nothing in comparison to this one.